It’s summer in L.A. and it’s HOT YA’LL. In my apartment I only have air conditioning in the living room—and seeing as I work for a nonprofit, turning that mother on is a luxury. I am not above sleeping on the floor in front of the fan. Peppermint essential oil is my secret trick to the horrible i-have-to-blowdry-my-hair-and-my-house-is-basically-already-on-fire situation. Whip out your favorite leave-in cream and squeeze a little into the palm of your hand. Add two to three drops of peppermint essential oil to the cream and swirl together between your hands. Then rake through your hair. Repeat as needed (I normally rake through the top, underneath and parted sides of my hair). As you continue to style your hair, enjoy the icy tingle as the oil refreshes your scalp! It’ll only last about 15 minutes before your skin adjusts, but it’s the perfect way to cool you down in the summer, ESPECIALLY if you blow dry or heat style to get ready. Don’t use a leave in? Feel free to add a few drops to your mousse, gel, hair glue, custard, detangler or other styler. Don’t use any products at all (lucky dog)? Add a few drops to your shampoo or conditioner when you’re in the shower. 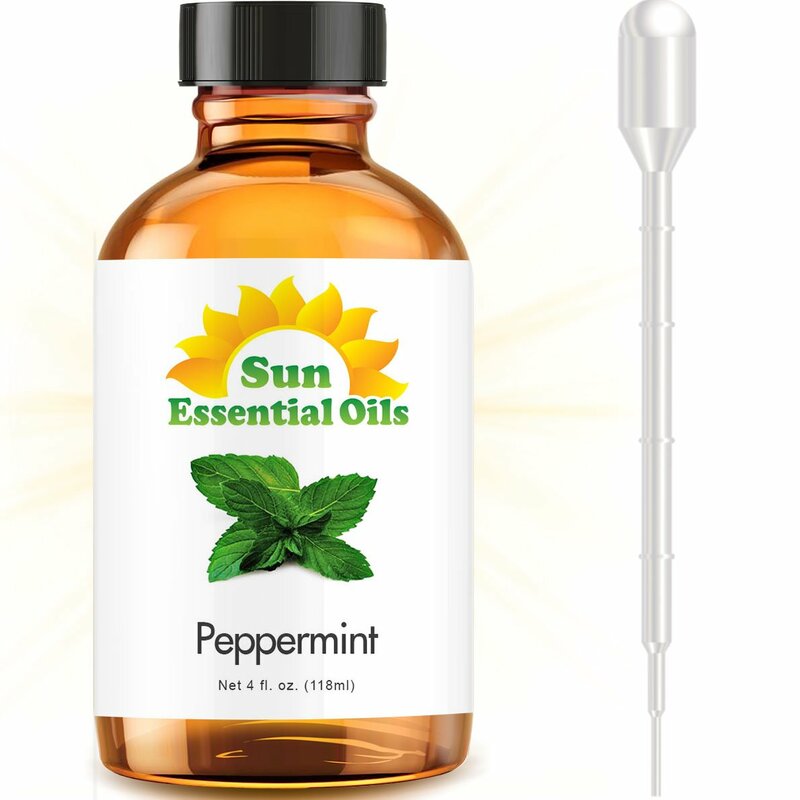 It doesn’t matter what brand of peppermint essential oil you use as long as it’s 100% pure. I buy mine from my local Marshalls! Don’t use too much and your hair should remain weightless.